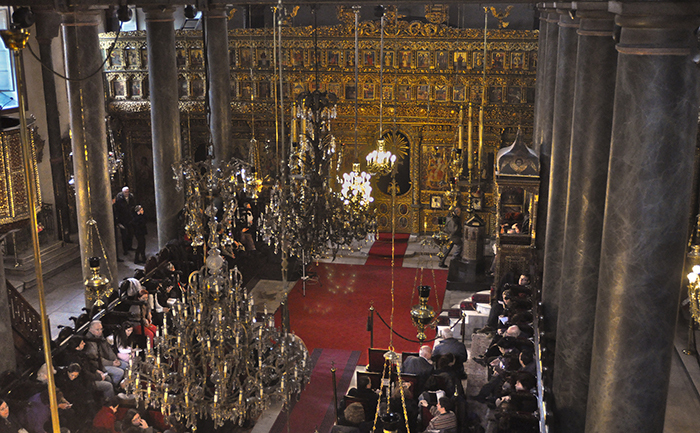 Ecumenical Patriarch of Constantinople, also known as St.George Church, is among the holiest Greek Ortodox churchs in the world with its 300 million followers. The Greek Orthodox Patriarchate Istanbul has been the spiritual center of the Greek Orthodox world since around 1600. 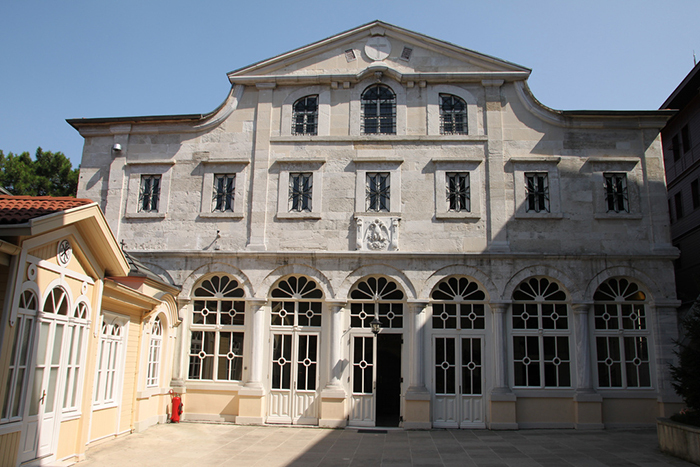 Officially the seat of the Ecumenical Patriarchate of Constantinople, it is known locally as the Fener Rum Patrikhanesi (Fener Greek Patriarch), it could be considered the Vatican of Eastern Orthodox church, and the 18th century Aya Yorgi Kilisesi, Istanbul (Church of St. George, Istanbul), which stands in the grounds of it, attracts coachloads of pilgrims from Greece for Sunday mass, particularly at Easter time. Before it was converted into the Greek Orthodox Cathedral Istanbul, it was a convent for nuns. Like many of Istanbul’s, it is a small basilica, and has been reconstructed and restored many times. It is ornately gilded inside and contains many holy relics, mosaics, and sculptures. For more information and detail on this venue, you can book our Fener, Balat and Golden Horn tour. The Ottoman Empire was tolerant of different faiths, and Istanbul has always been a multicultural city, with a large Christian population as a result of its Byzantine heritage. Although many Christians left Turkey during the Turkish War of Independence, more than 40% of Istanbul remained Christian. In 1923, the Istanbul Rum (Greek Orthodox) population of the city was around 384,000, but numbers have now dwindled to around 2000, because of difficult foreign relations. Every year on January 6 (Ephiphany), the patriarch throws a wooden cross into the cold waters of Haliç (Golden Horn), and men compete to reach it first. Make sure to take a place by the river to witness this holy tradition. 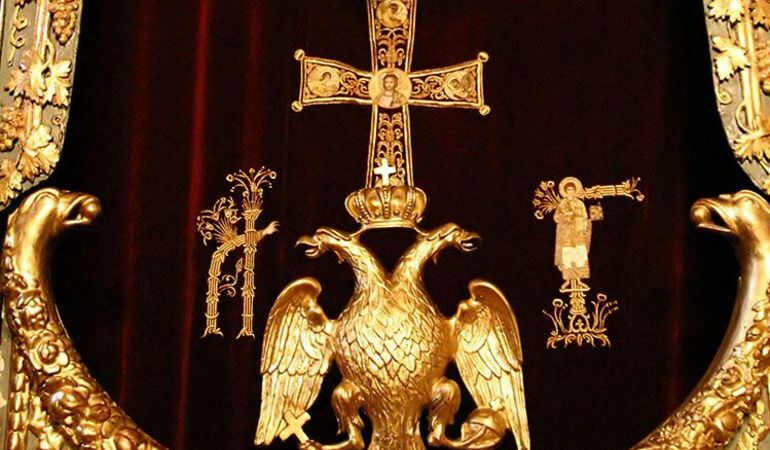 How can I get to the Greek Orthodox Church Turkey? The Greek Orthodox Church Istanbul is located in the historic neighbourhood of Fener, by the Golden Horn. Perhaps the most pleasant way of reach it is by taking the Haliç Hattı ferry to Ayvansaray and then walking down along banks of the Golden Horn or through the historic neighborhoods of Balat and Fener. What else is there to see near the Greek Orthodox Patriarchate? The historically cosmopolitan neighborhoods of Fener and Balat are rich in lesser known sights such as the church of St Mary of the Mongols, the Fener Greek School for Boys, St Stephen of the Bulgars, the Ahrida Synagogue, and the Surp Hreşdagabet. What are the Greek Orthodox Church opening hours? The church is open daily from 9am-5:30pm. There is no Greek Orthodox Church ticket price, but donations are welcome. Every year 6th of January(birth of Jesus according to the Greek calendar) patriarch trows a wooden cross to the cold waters of Haliç as man compete to be the first to catch this holly cross. Make sure to take your place by the river to witness this holy tradition.